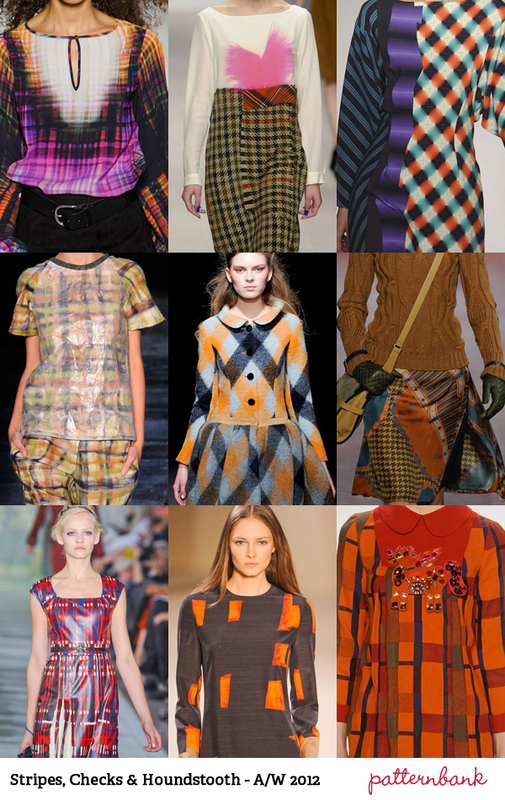 This prints seen on the recent A/W 2012 runways, are a big influence next season..
Geometric figures inspired on 60's causing that groovy feeling, with graphic repeats. The classic 'Black and White', consist on monochrome statements and an amazing optic contact perfect for this season, giving sophisticated and elegant look. 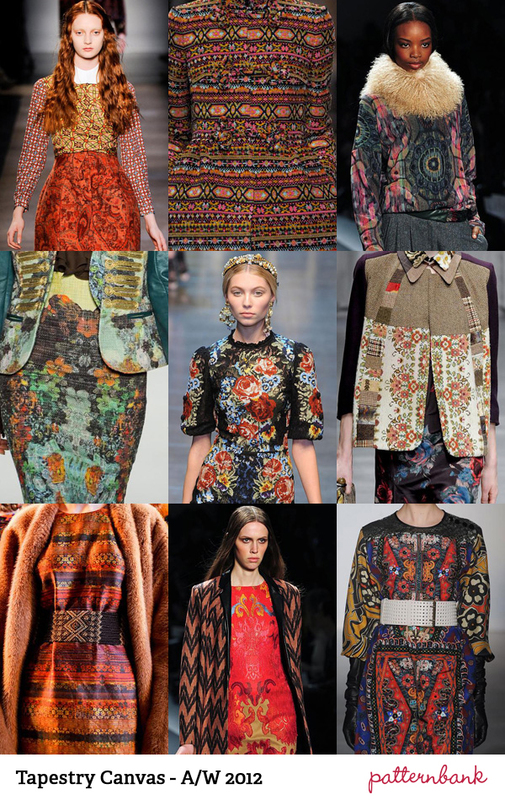 Ombre effect, striped and abstraction, are the mean characteristics of this print..
With classical tapestry patterns and floral motives this structural prints are inspired in folk art. 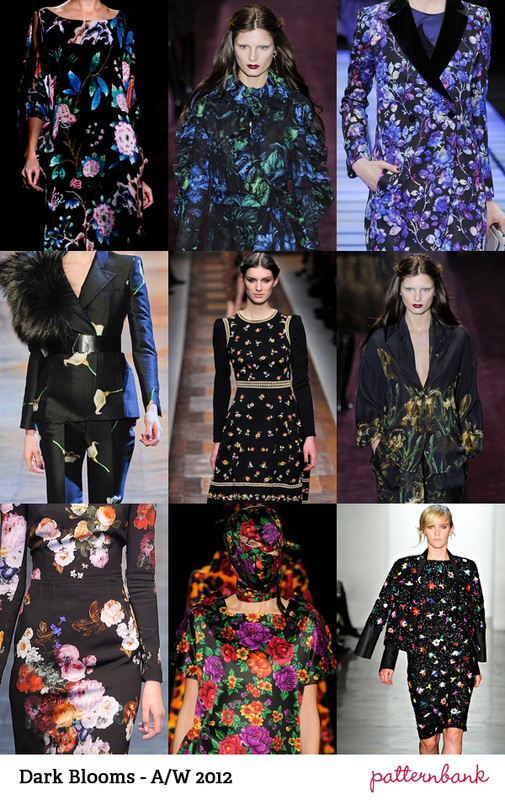 And the flowers are persistent, we're already seeing this season in colorful, and fun colors, the thing is that in A/W season, they come upon darker colors, creating that midnight sensation.